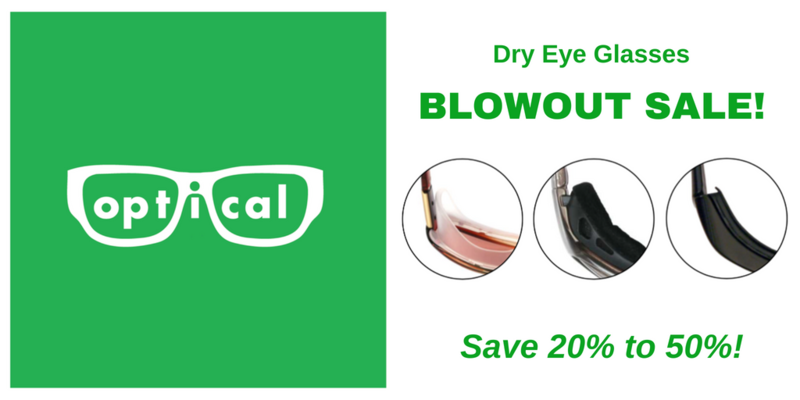 This week in KeratoScoop: Dry eye glasses blowout sale - big savings! Abstracts on acupuncture, migraines, Lotemax and sensation. FAQ for dry eye newbies. Text us at 877-693-7939. Missed voicemails? 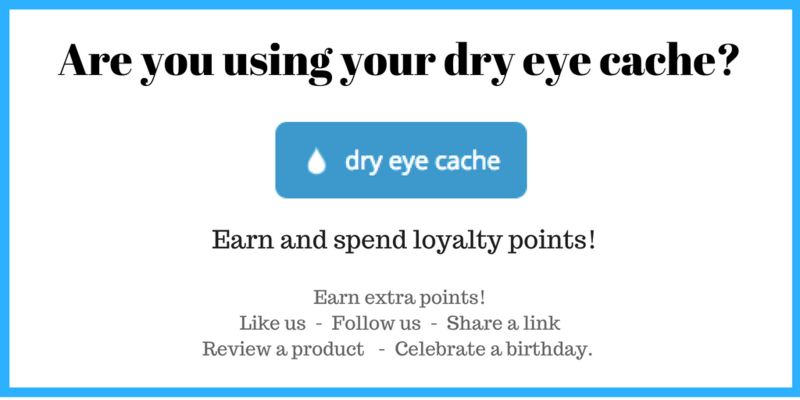 Use your loyalty points (dry eye cache). Refresh PM still on backorder, of course! Traveling with sclerals? Business news. Acupuncture - systematic review: A "study of studies" with some gems, such as concluding that less is more, and that acupuncture improves Schirmer scores more than TBUT. Migraine & dry eye connection - this is just a brief abstract from a review in the Journal of Neuroophthalmology, but for those with an interest, the full paper and/or the author may prove good resources. Loteprednal as the "safer" steroid: Review looking at 20 years of research on the drug most of us know as Lotemax. Dryness, pain and itch in a neuropathic pain context: It's exciting to see titles like this these days. Who woulda thunk, ten years ago, that we'd ever get here. Dry eye is all about sensation... it's great to see it being studied more and more. I've been realizing lately that in what I write, I habitually cater to the veterans more than anyone else. But the fact is more people get diagnosed all the time and need basic information to start on. So I'm going to start putting more links to articles directed at those who are new to our world. Today's is just Dry Eye FAQ - my version of some of the bottom line "snapshot" information you may find helpful. It is not dumbed down or distilled into a few meaningful paragraphs, but hopefully it is compact enough to help put you in the picture. It's also probably got some useful information for people who have been dealing with this for years, too. As always, feedback is appreciated! May 12 - NKCF Keratoconus Family Symposium (Kellogg Eye Center, Ann Arbor, MI). Click here for details. Oct 5 - Orange County Dry Eye Support Group (Laguna Woods, CA, 1pm)- Click here for information and to RSVP. I hope some of you made it to the one last week - sorry I didn't get my newsletter out in time for a reminder about it! You can text us now! I hope you're liking the SMS order confirmations our new system is sending! My favorite is that people get texted when their order is delivered, so if there is a delivery error (package went to a neighbor, etc), they know and can alert us right away! But now YOU can text US too. Got a very quick question? Text us at our phone number - 877-693-7939. Did we miss your voicemail? Sigh. Once again a little technology blip. Our virtual receptionist system, which we've been using since 2005, failed to send us a whole lot of our voicemails over a 10 day period, from April 17-27. We eventually recovered them, and did our best to call everyone back. I am so sorry about anyone who was accidentally neglected during that period. Thanks for your patience with getting voicemail more often than usual lately. We're a bit short-handed, but this too shall pass! Incidentally, am I the only one that never heard, until recently, the proverb "This too shall pass... it might pass like a kidneystone, but it will pass!" That is definitely my new favorite quote for all of the transition pangs I'm going through with this business. Enjoy the sale! It lasts all month. Coupons below. Meantime, do you know your lens options? 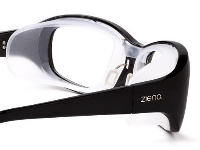 All 7eye AirDam and AirShield glasses and all Ziena eyewear are available with a variety of different lens types. Lens details here. How do you clean your Ziena silicone shields? I'm really curious. Water is not recommended for either the glasses or the shields because it can cause the magnets to come loose prematurely. The manufacturer suggests baby wipes. What works for you? NITEYE fans, I just want to say once again how sorry I am about the big manufacturer price hike. If you need help with alternative products let me know. What's your "lite" version of night protection? For many people night dry eye is at its worst in the winter with the heat on. It's good to have a few different things in your toolkit. Maybe you have to max out with ointment and EyeSeals or Tranquileyes in December, but maybe by June you can use a gel or a good drop like FreshKote or Oasis Tears Plus and Quartz or even a sleep mask. One thing you really probably should not do, when the change of seaons is giving your eyes a reprieve, is cut back dramatically on your dry eye care. There may be less environmental stress on the eyes, but that doesn't mean they don't still need good, attentive care. Regularity of dry eye care, especially prevention, should not be driven exclusively by how you feel. Unique pH is a handy solution for storing and cleaning. Available in 2oz travel-friendly size. 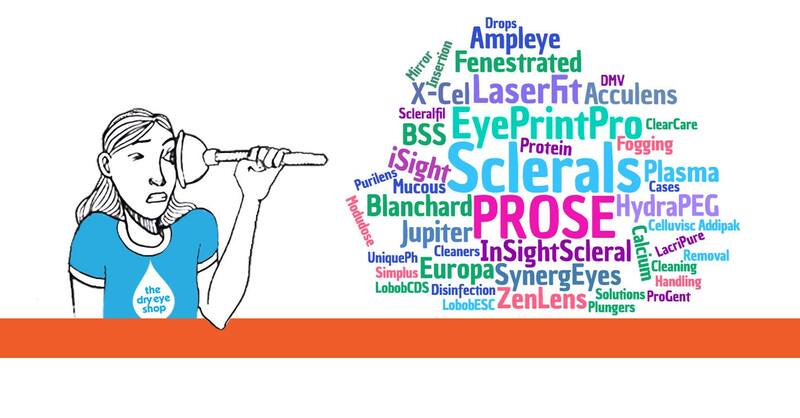 ScleralFil (which comes in 10mL vials) is a handy alternative to Purilens bottles for travel. I always have a handful of them in my carry-on. TSA rules allow a medical exemption for solutions even if they're larger than 3.4 oz. But TSA rules apply ONLY in the USA. If you're traveling outside the US, find out the rules where you're traveling to or through, so that you don't have something important confiscated unexpectedly. Go armed with a prescription or a letter from your doctor about why contact lens solutions are a medical necessity for you. Refresh Optive Mega 3, which has been on backorder, is finally on its way. We're supposed to have ours late next week. Refresh PM... not so much. Still currently expected in July. Read my tips about alternatives. Looking for something natural in the midst of all the drugs, devices, chemicals, polymers and so on? 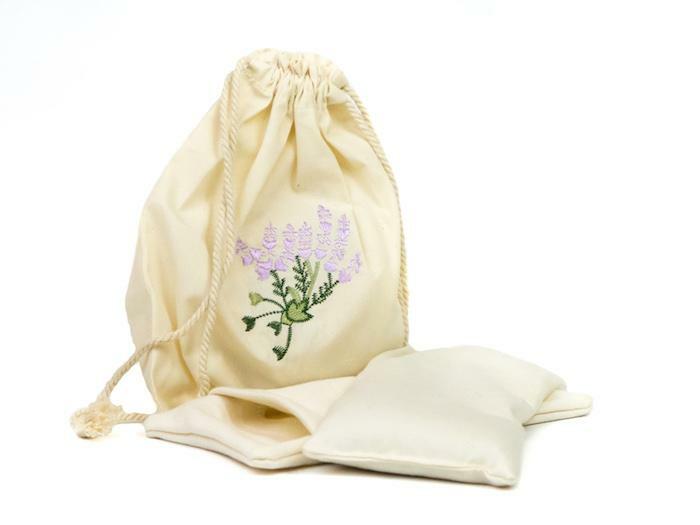 Try a friendly little all organic, dye-free, fragrance-free rice baggy. ...to everyone, for all your continued support and kindness! As a small business trying to do a little good in our little corner of the world, we are just really grateful for our amazing customers / readers / followers! If you found us on your own, rather than being referred by your doctor, we would be so grateful if you would consider either letting your doctor know about us, or letting us know about them so that we can reach out to them with some literature for their office if they are interested. If you would like us to send you anything to take them, just let us know. Sorry, I missed last week altogether! Just not enough hours in the day. Time is at a bit of a premium. We're functioning on the proverbial skeletal staff at the moment while I'm doing some reorganizing and rethinking of some aspects of the business. Why? It's just that pesky little thing - you know, the P word - ugh, profitability. Somehow over the years I never took enough interest in it to bother to learn how to achieve it, and by the grace of God, I apparently managed to live without it for a long time. But, with the changing retail landscape, it's rearing its ugly little head in a big way... no, not profitability itself, but rather my awareness of the necessity to acquire the skills to achieve this hitherto elusive virtue. So as you know, I'm several weeks into my SBA Emerging Leaders class, learning like crazy and loving absolutely every minute of it, especially the minutes when I'm not exhausted, terrified or completely humiliated by past mistakes! (Let's see, who was it that recommended, on Facebook, I think, that book called "Permission to Screw Up". I read it on the way to the Sjogrens meeting last month. What a great read! Thank you.) It's a wild, invigorating ride and I love my CEO mentor group and brainstorming with others about their businesses too. Anyway, going back to that P word, one of my many late-in-life (life as an entrepreneur, that is) epiphanies has been discovering the weird money hangups I seem to have, particularly around that word. So I have had to re-define it to suit my needs. My new definition of profitability, that is, the profitability that The Dry Eye Company is now aiming for is, the financial stability and resilience to successfully weather the unexpected because the unexpected will continue to happen. So with that image in mind, it's been much easier to embrace some new roads forward. ...Though some of those roads will inevitably lead through places I don't necessarily like, and I have to find new ways to re-frame some of them for myself. For example, every expert who has taken even a cursory glance at my business has had one thing to say: "Raise your prices. These ratios don't make sense." And they've proved to me why that really and truly has to happen. I get it. I just don't like it. I'm still wrapping my brain around it - especially how to implement it in a way is compatible with the kinds of customer needs I want to be able to serve, how to have the least adverse impact on any of my customers, and how to provide the kind of transparency that is important to me, but also how to move forward confidently with a path that is necessary if this business is going to continue to provide the channels for the work I care most about - the education, advocacy and research parts. If this email was forwarded to you, you can use the button below to subscribe.